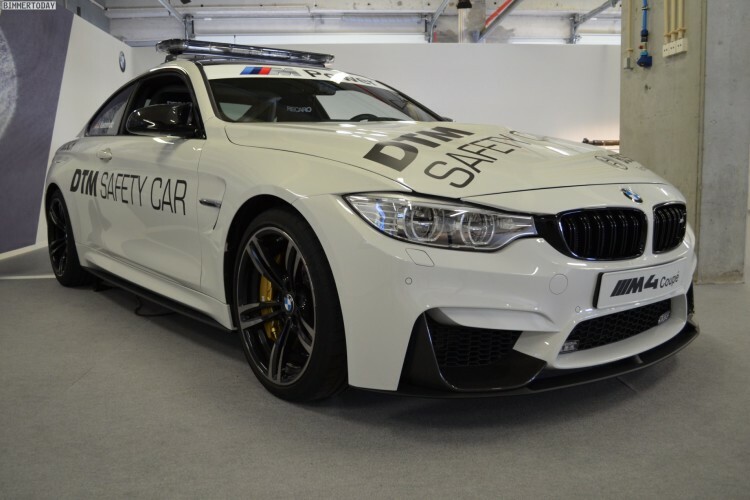 During the presentation of the BMW M3 and M4 in Portugal, Bimmertoday had the opportunity to take a closer look at the new BMW M4 DTM Safety Car for the 2014 MotoGP season. The BMW M4 Coupe DTM Safety Car will lead the 23 DTM racing cars around the circuits on the race calendar safely and with great aplomb. BMW M4 Coupe DTM Safety Car comes with many BMW M Performance Parts that enhances the already super sporty look. 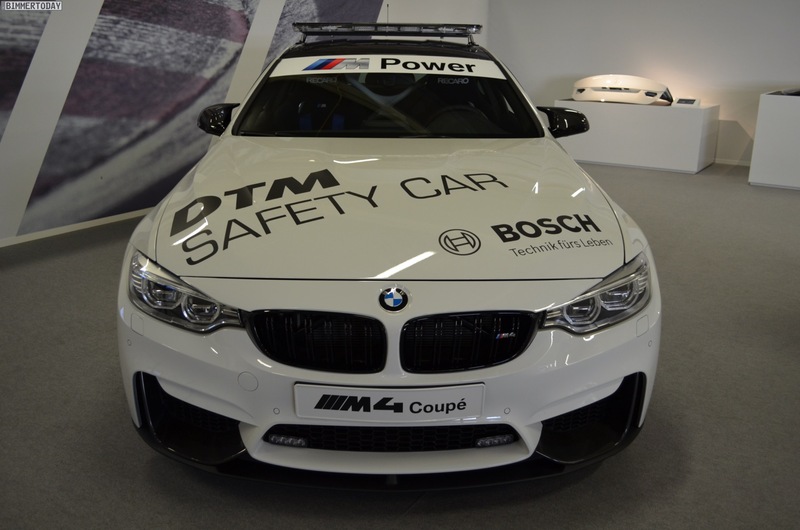 Back in the winter of 2013 a team of BMW M employees started work on converting the car to a safety car capable of taking a leading role in the DTM. The basic car was assembled at the BMW plant in Munich. From there, the BMW M4 Coupe went to the BMW M factory in Garching, where the assembly and modifications continued by hand. 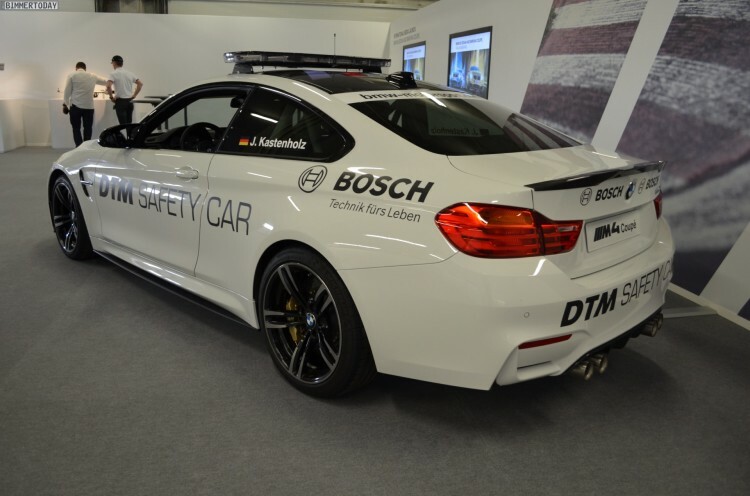 These included the technicians removing the rear seat of the car and installing a roll cage and Recaro racing seats with Schroth belts for its outings as a safety car. Furthermore, the car was also equipped with LED lights on the front apron, a radio communication system, LED lights on the roof and a special livery. The extensive use of BMW M Performance Parts – from the exhaust silencer system, front splitter, black front grille, mirror caps, rocker panel attachment and rear spoiler to the rear diffuser, the technicians prepared the BMW M4 Coupé for its demanding outings on the racetrack. The modifications took about two months to complete. The BMW M Performance Parts installed offer an insight into how good the components, which are available to all BMW customers, can look. 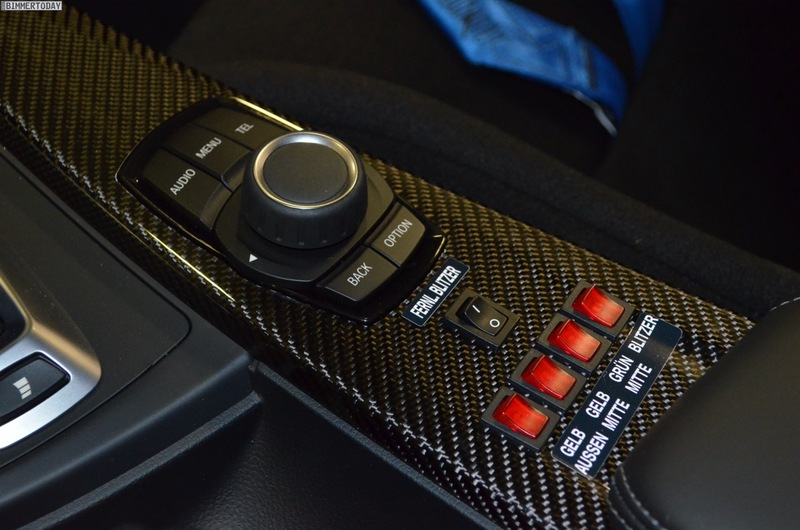 Inside, the near the iDrive controller is the control unit for the additional lighting on the front and on the roof of the Safety Car.